Kari Walhgren is a woman whose face you may not yet know, but you might recognize her voice, especially if you’ve ever seen shows like Rick and Morty, The Fairly Oddparents, or Disney’s The Lion Guard! Kari is a voice actress and has done work on some pretty amazing creations that span all genres; she’s one of those people who brings life to a character that previously only existed in a 2-D space. We were given an opportunity to speak to Kari about what it’s like to do voice acting, how she prepares for roles, and her upcoming projects. Check it out after the jump! How did you get into voice acting? 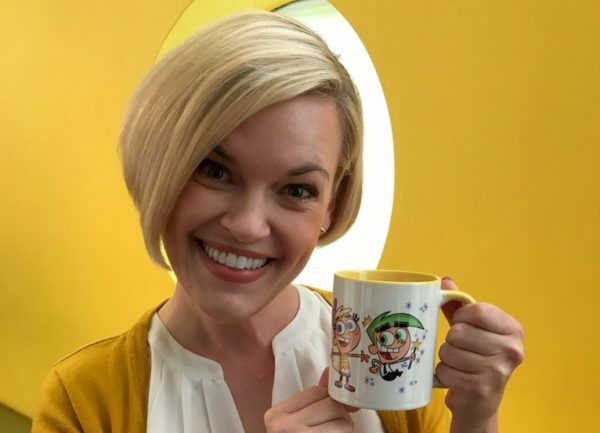 Kari Wahlgren: I’ve always loved cartoons, so I knew from an early age that I wanted to “do voices.” I started out doing some commercial voiceovers in Kansas City, and then I started auditioning for cartoons when I moved to Los Angeles. Who’s your favorite character to voice (so far)? I can never answer that question! It’s too hard. I have a number of sentimental favorites, but I usually think the character I love the most is whatever I’m working on at any given moment. How do you warm up before a recording session? Are there any rituals you follow, foods you avoid? I sing in the car! A LOT. There are YouTube videos out there to prove it… haha! And I drink way too much coffee. I perform better if I’m overly caffeinated! How do you prepare for creating a character? I draw from descriptions, artwork, the script… anything I’m given in advance. And if the project is based on source material like a comic book, I’ll read that before I record. Do you ever dress up or put on makeup to help get into the feeling? Sometimes the clothing I wear is influenced by the character I’m playing that day. If I’m playing a boy, I usually don’t wear a sundress and heels! And I may dress in black if I’m playing more of a tough, badass character. Has your voice ever been recognized out and about in public? Not really. But I have been recognized in general, which was surprising and very flattering! Is there a difference between recording characters for movies, TV, and video games? For TV animation, oftentimes you get to record as a cast. That’s my favorite! Movies and video games are usually recorded separately. What’s it like to see a character come alive onscreen who sounds like you?! It’s always a fun surprise. Sometimes the character looks nothing like you expected… or other times the animators will incorporate some of your facial expressions or mannerisms into the character. It always feels a little magical to see it come to life! Take us behind the scenes: What’s a typical recording session like? If it’s a group recording session, a number of people are in the studio at the same time… and the energy is incredible! People are cracking jokes and playing multiple characters. We’re always laughing a lot. The best jokes (and the dirtiest ones) never make it on the air, sadly… That’s the biggest secret. The funniest moments usually never go beyond the studio! Thanks for chatting with us! What’s in the pipeline we should keep an ear out for? We’re recording Season 3 for Rick and Morty right now, so I’ll be coming back as Jessica and numerous other characters. New episodes of The Fairly Oddparents will be airing in the next couple of months on Nickelodeon… I play Chloe Carmichael. 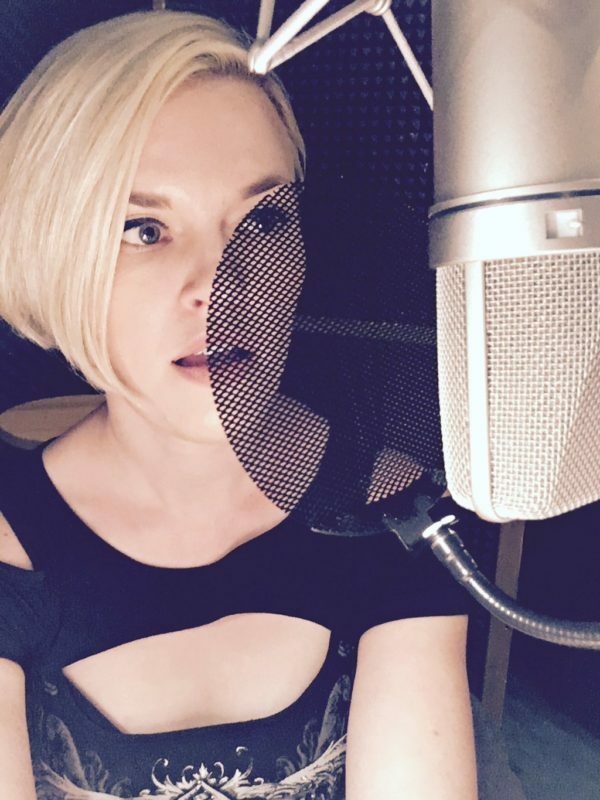 You can follow me on Twitter, @KariWahlgren and Instagram at kari_wahlgren or on Facebook at Kari Wahlgren Official… There are a couple big announcements coming up in the next few weeks, so stay tuned!! Thank you again to Kari Wahlgren and to Platform PR for letting us chat!